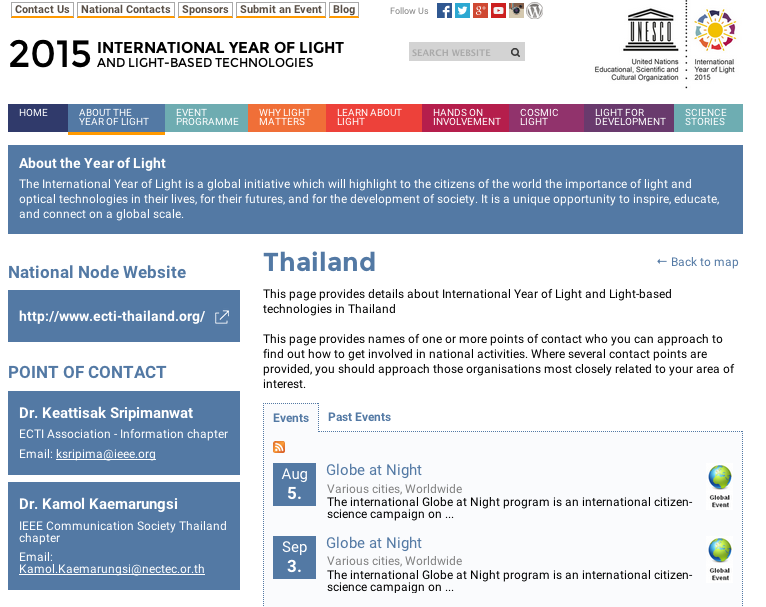 ECTI Association and IEEE ComSoc Thailand chapter are volunteer to serve for IYL2015 as a contact point in Thailand. We are most in the area of communication and information engineering. 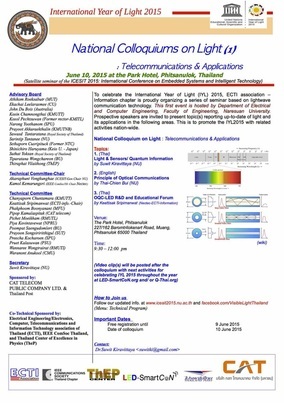 Optical communication is one of the most advanced communications by using electromagnetic waves (of light form). It differs from radio and microwave communication in that the wavelengths employed are shorter (or higher frequency). 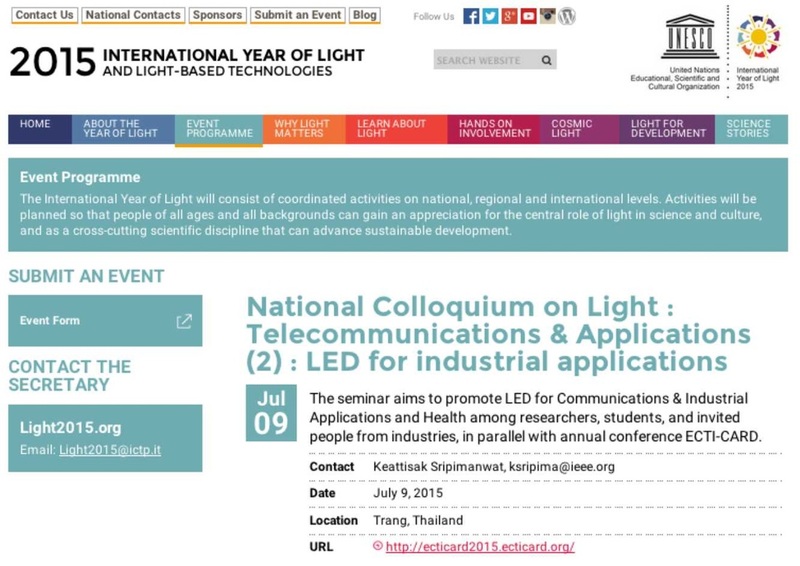 Light as the transmission medium, the system employs its beam of modulated monochromatic light to carry information from the transmitter to the receiver. 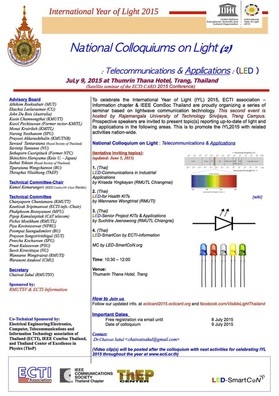 As a result, the transmission of speech, data, video, and other information by means of the visible and the infrared portion of the electromagnetic spectrum can be deployed. Basically, an optical communication system consists of a transmitter, which encodes a message into an optical signal, a channel of either free space or optical fiber, which carries the signal to its destination, and a receiver, which reproduces the message from the received optical signal. Obviously, the advantage of communication at high frequency of the optical carrier permits much more information to be transmitted over a single channel than it is possible with a conventional radio or microwave system. In addition, the very short wavelength of the optical carrier permits the realization of very small compact components.